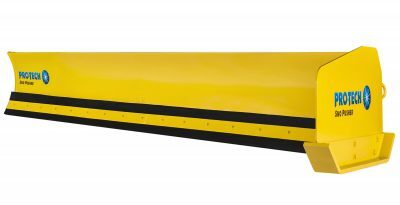 No Are You A Customer? 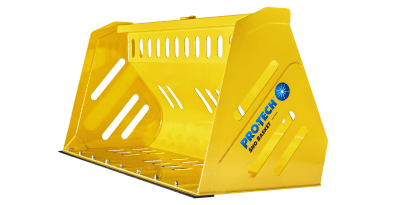 Already own a Pro-Tech? 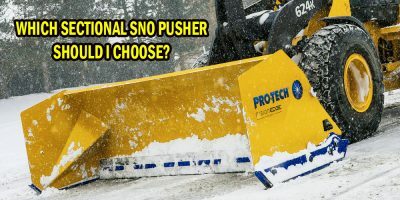 Visit our Tips and Tricks section and find out more about your snow pusher. 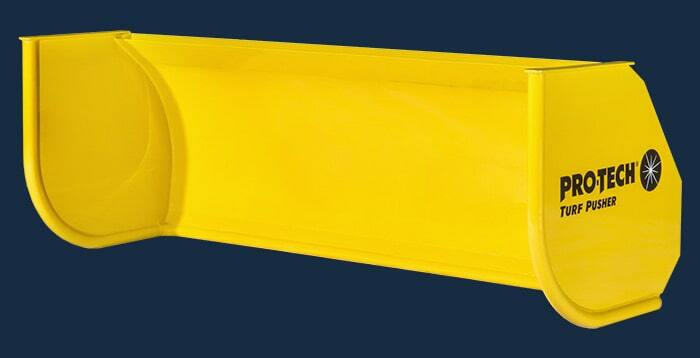 Incredible surface outcome and ease of use. 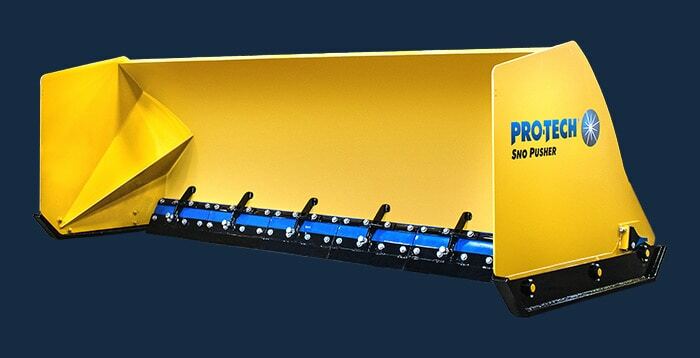 See the plow that everyone is talking about. 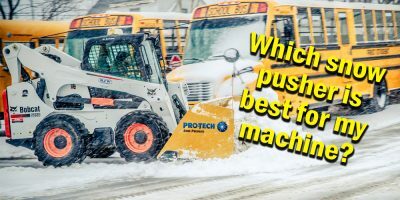 The original Sno Pusher. 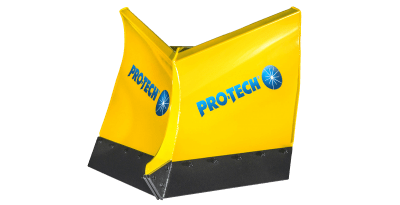 Considered by many to be the most popular containment plow or snow pusher in North America, this model features Pro-Tech Rubber, which is not only extremely durable but also versatile and allows contractors to tackle multiple surfaces. 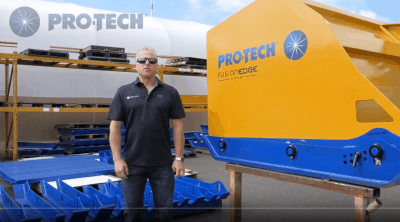 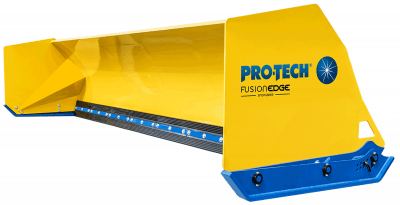 The Fusion Edge Sno Pusher is a sectional snow pusher that gives you the best of both worlds: incredible surface outcome (steel edge) and ease of use (rubber edge). 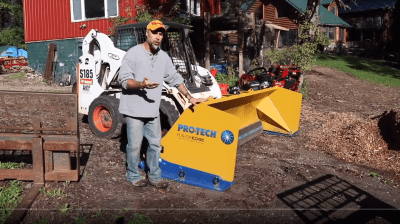 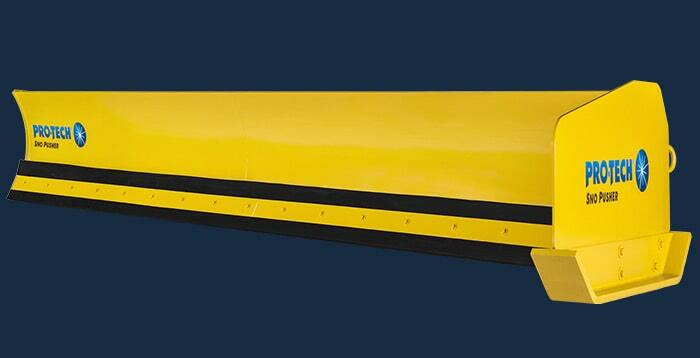 For over three years, Pro-Tech tested this snow plow in the harshest of upstate NY winters. 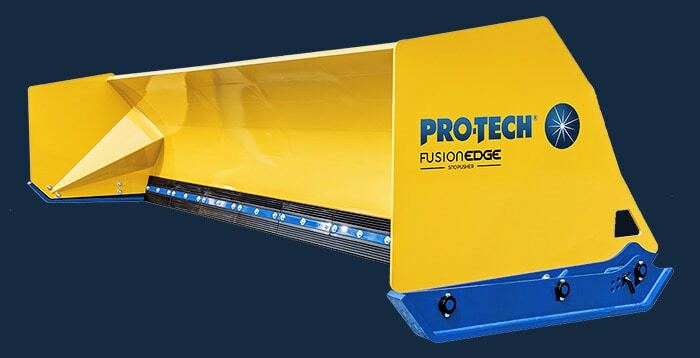 Our ultimate goal was to give you the perfect combination of performance and durability all at a reasonable price. 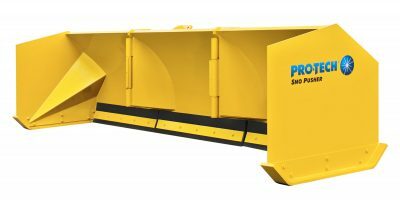 The Pullback Sno Pusher is versatile and can operate as a Rubber Edge Sno Pusher but with one quick change of position, address tight areas that a standard containment plow cannot. 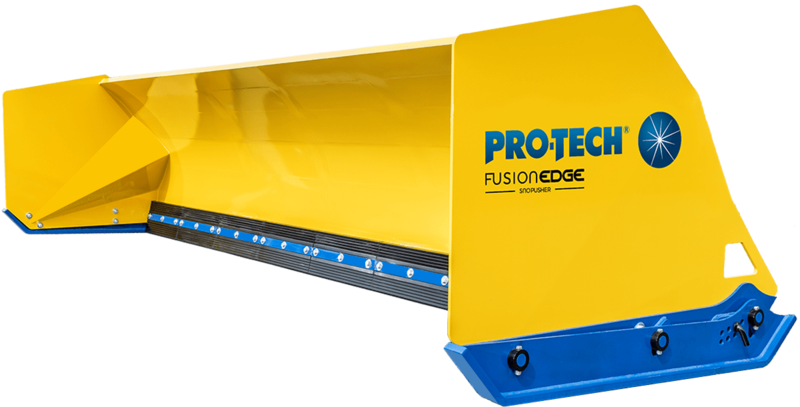 The new and improved Steel Edge Sno Pusher effectively attacks all types of surfaces, especially those that are uneven or covered in hard packed snow, and has no stacking or speed limitations. 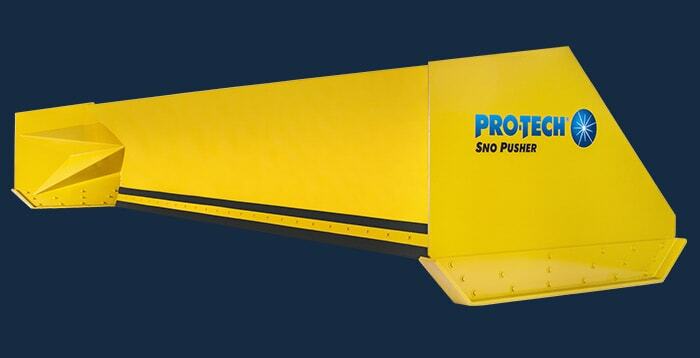 The Foldout Sno Pusher is road legal for driving site-to-site in most areas. 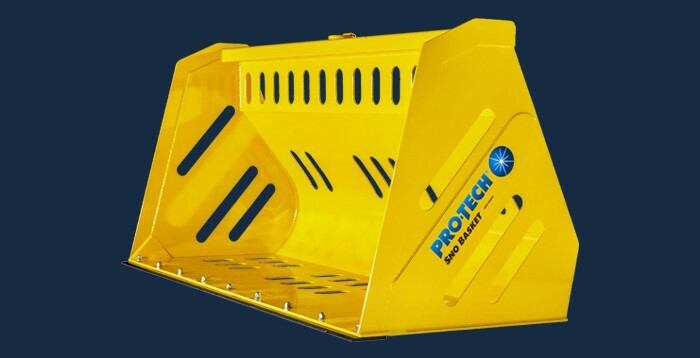 It is perfect for properties that contain many obstacles such as gates, bollards, and narrow wall passages. 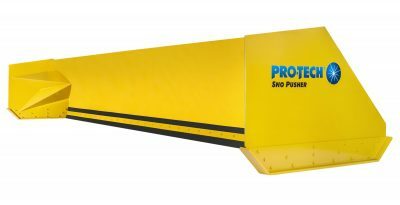 The Super Duty Sno Pusher is the largest model at 30′ feet in width and able to contain up to 57 yards of snow. 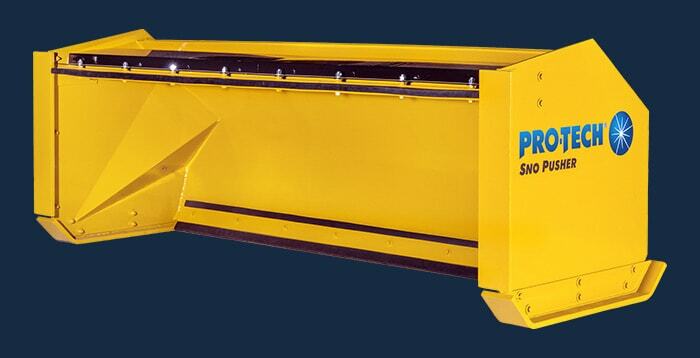 This snow pusher is ideal for larger equipment (4+ yard bucket capacity). 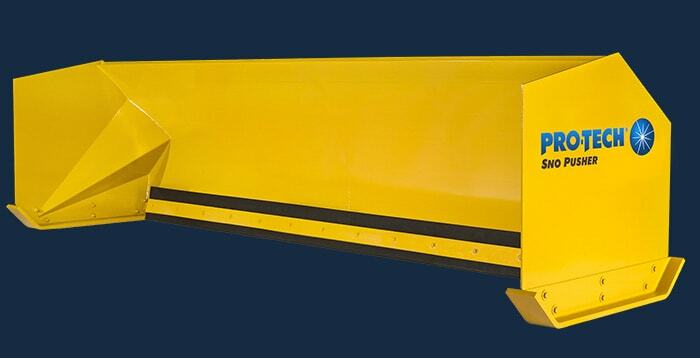 It can also find a second use in construction or agricultural applications. 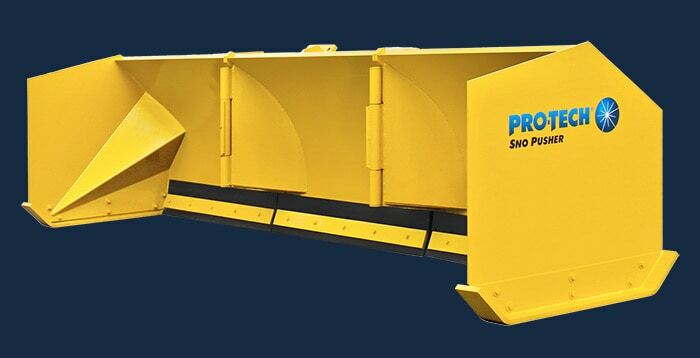 The Low Profile Angle Sno Pusher is a specialized model that allows customers to clear snow underneath parked trailers and other hard-to-reach areas. 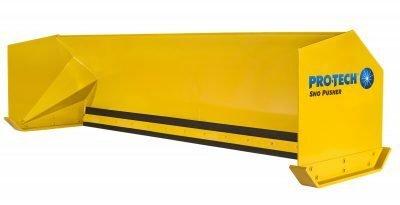 The ability to windrow makes this snow pusher a must have for situations where dispersing snow to the side is required. 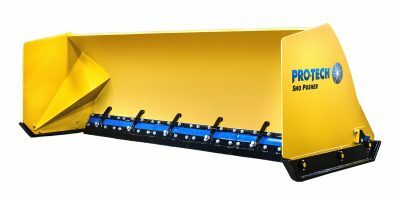 The Pro-Tech Turf Pusher is the first snow pusher designed specifically for clearing sports turf fields. 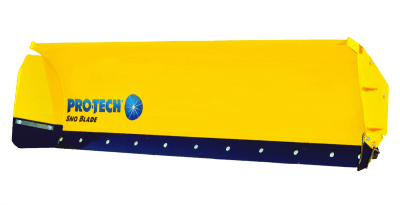 This lightweight but durable snow pusher smoothly glides over turf and field covers. 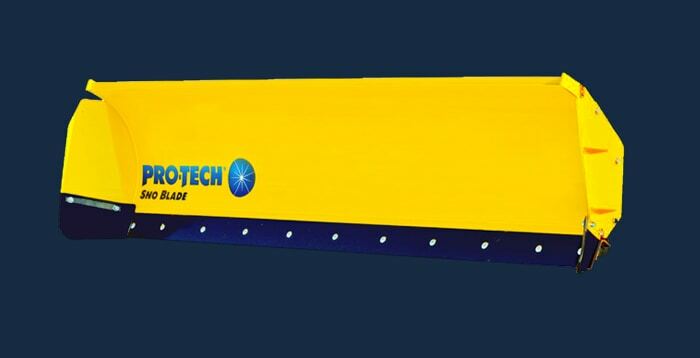 Customers can now keep their sports turf fields operational at all times during the winter. 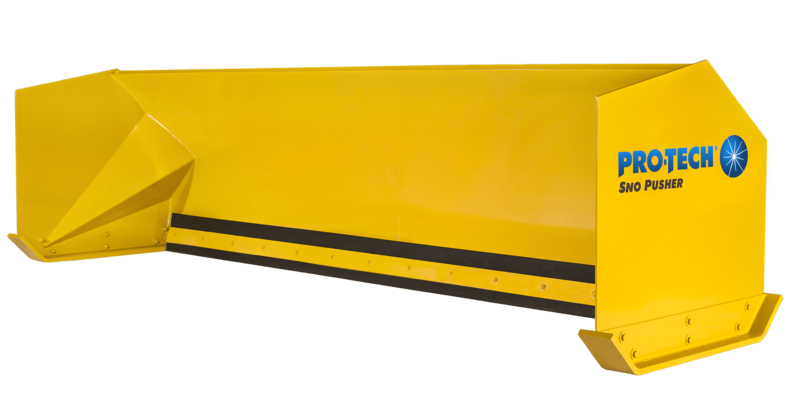 The Forklift Sno Pusher is built on the same chassis as our backhoe models and provides all the same features and benefits as our standard snow pusher. 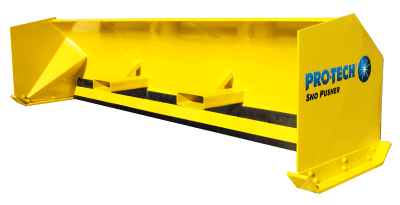 Built using the same structural steel found in our Sno Pushers, the Sno Blade is engineered specifically for use on skid steers in heavy commercial applications. 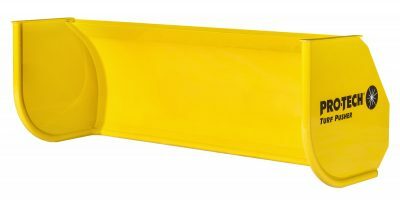 Increase your skid steer’s snow clearing capabilities with confidence with the Sno Blade. 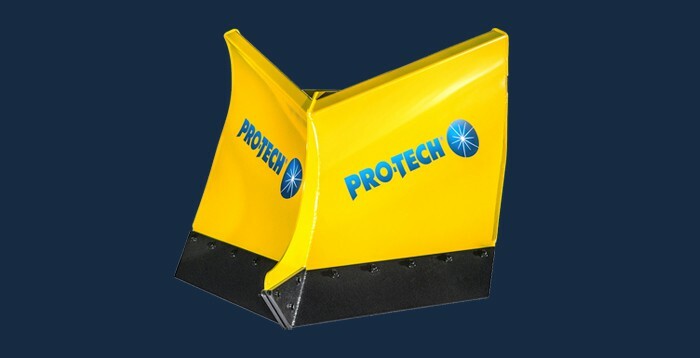 The V Plow Sno Pusher is the perfect solution for clearing sidewalks. 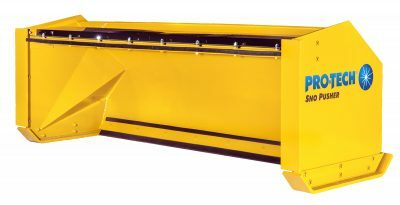 The V Plow has the classic “V” shape to split and windrow snow cleanly off of sidewalks. 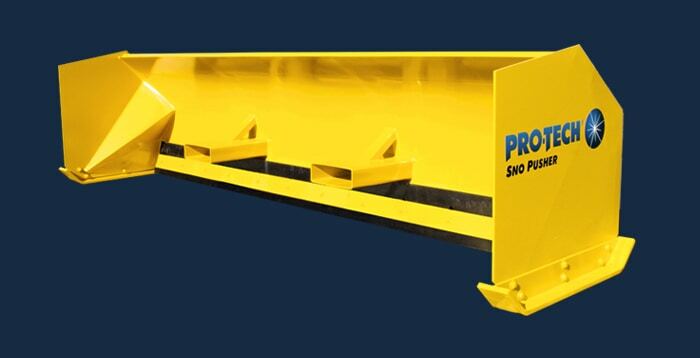 The four standard sizes come complete with a universal quick coupler. 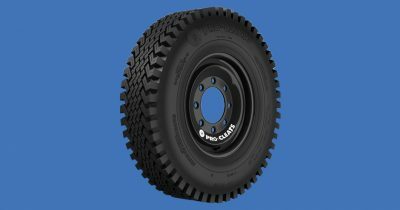 The Pro Cleat’s narrow profile, unique rubber compound, and aggressive tread pattern allow the tire to cut through snow while achieving maximum traction. 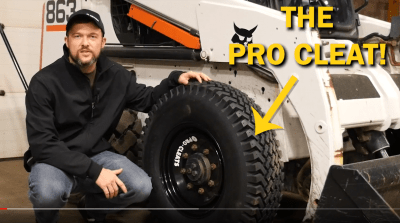 This winter, don’t let your skid steer tires slow you down. 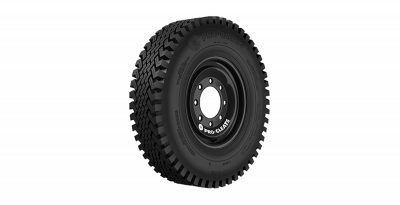 Get a grip with Pro Cleat skid steer tires and stay ahead of the competition.